On social media, people want to connect with people — not companies. Likewise, people increasingly want to connect with stars — not teams. To a time when LeBron James transformed sports right before our eyes. Without knowing it, we were all witnesses. It was 2010. LeBron James, a two-time NBA MVP had played seven years in Cleveland. As he entered his prime, LeBron was up for free agency. The season was over, and yet, all eyes were on the NBA. It was uncanny. Where would LeBron play next? Would he stay in Cleveland? Or would he betray his beloved hometown? Sensing the magnitude of his announcement, LeBron hosted a prime-time special on ESPN to announce his move from the Cleveland Cavaliers to the Miami Heat. The Decision was more than a free agency announcement. It was a rare once-in-a-generation peak into the future of media, sports, and celebrity — a foreshadowing. The Decision set a whole host of dominos in motion, the weight of which changed the NBA forever. The Decision occurred only two days after LeBron opened his Twitter account, a few days before his website and management company launched, and just a few weeks before LeBron started filming his first movie. The Decision was the birth of the NBA as a 12-month sport, where the offseason can be as exciting with an offseason as the regular season. The rumors before The Decision sent the internet into a frenzy, thereby birthing Twitter’s global community of NBA fans. Today, LeBron James — “The King” — is considered the most influential athlete in America. LeBron’s decision to play for Miami came at a pivotal moment in sports history; for the first time, stars controlled the teams they played for and the owners who employed them. LeBron’s announcement foreshadowed the future of sports, media, and marketing, and laid the foundation for basketball’s ascent to the global stage. History will remember The Decision as a decade-defining event, a pivotal moment, destined for a permanent spot in the history books. As the NFL loses popularity, the NBA is thriving. The NBA estimates that roughly 1.4 billion people connect with the NBA every day. In 2017, the NBA became the first professional sports league to pass one billion social media likes and followers across all league, team, and player accounts. Defying all expectation, NBA TV ratings are up.² Attendance has climbed as well: more than 22 million fans flooded an NBA arena during the 2017 regular season. NBA League Pass subscriptions climbed 10 percent, and website visits increased by 27 percent. The NBA’s digital success is a result of the league’s foresight and its progressive ethos. Historically, leagues have tried to distance themselves from partisan political frictions. They have honored the troops and flown fighter jets over stadiums during the Star Spangled Banner. Leagues have held poignant moments of silence to honor the victims of tragedies. Leagues avoided controversial social debates. Even when they confronted them, they avoided the fragile sensitivities of the moment by touching heated debates only once the dust had settled, the controversies had subsided and the history books had been written. Like basketball itself, the NBA encourages each athlete to showcase their individuality. The league encourages its athletes to assume vocal roles in politics, culture, and social action. It operates with an ethos of sincerity. Instead of silencing its athletes, the NBA gives them a bigger megaphone. Even in the internet age, the NBA’s hands-off approach to athletes remains controversial. Today, traditional sports media outlets believe talking politics is out of bounds for an athlete. The “shut up and dribble” era is over. Through social media, athletes bypass centralized media sources and offer alternative perspectives, many of which have been muzzled historically. Athletes like LeBron James feel an obligation to speak out on social issues. Through social media, they can influence the narrative. In 2012, James took to Twitter to commemorate the death of Trayvon Martin by wearing a hoodie with the hashtag #WeAreTrayvonMartin. I suspect that the force and frequency of LeBron’s political activism will increase. The marketing strategies of American sports leagues reveal their priorities: the NFL markets the shield, the MLB markets the franchises, and the NBA markets the players. The NFL feels like a return to the past. The reach of football games depends on the popularity of television, an attitude of American exceptionalism, and a cultural reverence for toughness.² The NFL will suffer if those sentiments fade. While the NFL fights the future, the NBA is embracing it. Stars drive the NBA. Out of all American sports leagues, basketball players have the largest social media followings. For young fans, social media has replaced SportsCenter. 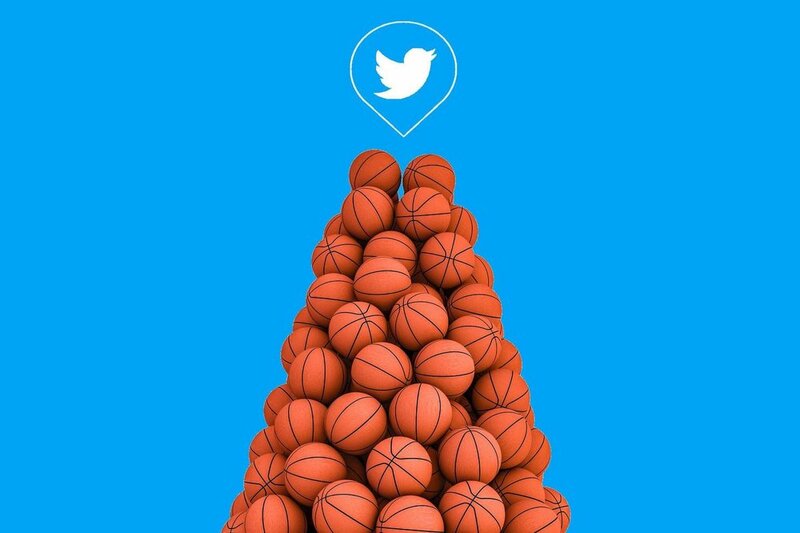 Twitter is the hub of basketball’s fervent fandom. Unlike other American sports leagues, the NBA promotes the posting of game highlights, even from amateurs on social media. On YouTube, full-game highlights are available immediately after every game. In the internet age, leagues have a choice: they can either build a dam or open the flood gates. The NFL and MLB have doubled down on piracy and copyright restrictions. They go after sites and social media users who post video without permission. The NBA though, does the opposite — the floodgates are an astute marketing strategy. Instead of issuing copyright restrictions, the NBA uses YouTube technology to identify game highlights, and when they do, they profit from the advertising. It’s a win-win for fans and the league. Contrast these policies with the NFL, a league that, in addition to restricting speech, bans teams from reproducing highlights of their own games. Twitter is like a 24/7 sports bar; a place where player personalities amplify their athletic achievements and everybody has a court-side seat. Many of today’s NBA stars grew up on the Internet, and as a result, they’re highly attuned to popular culture. With textured public personas, the stars can feel more like close friends and less like distant celebrities. Some stars, like Joel Embid, are as savvy on Twitter as they are skilled on the court. Fans relish Embid for his unapologetic humor, voracious trolling, and the audacity to publicly ask Rihanna on a date. Other fans flock to the perpetual beef between Russell Westbrook and Kevin Durant. “NBA synchronicity” is a personal favorite. Throwing shade is an emerging internet art form. Sometimes, the players talk trash right before our eyes. On its best nights, Twitter feels like a sitcom. Brash and blunt, LeBron James has rekindled the spirit of trash talk. “The N.B.A. seems to have hit upon a solution to a problem that is vexing sports officials everywhere: how to get young people to pay attention. It has done this by becoming no longer merely a league of winning and losing, but a place for latching on to players and teams, often for reasons having nothing to do with their on-court play — like, tweets that develop a public-facing personality. As relationships between fans and their favorite stars develop, so will fandom itself. The visibility of NBA stars in the social media age — on and off the court — are driving shifts in fandom. Fans are increasingly following players, not teams. The shift in fandom from teams to players began in 2005, with the FreeDarko movement. Darko was the #2 pick in the 2003 NBA Draft — right after LeBron James. When it comes to marketing its athletes, the NBA’s advantages are built into the structure of basketball itself. Compared with the NFL and MLB, the NBA has fewer players. Before the internet, access to basketball games was constrained. Sports was primarily a local affair: local newspapers focused on local team coverage, local radio aired local games and local television networks broadcast local games. On the internet, fans can access the best basketball content regardless of where its produced. Accessing the best content no longer requires a subscription. It’s just a click away now. Due to the removal of friction, writers are shifting their coverage from a focus on teams to a focus on the entire NBA. Fans, then, have relationships with their favorite players and the entire league — not just their hometown team. As the role of geography in our lives evolves, shifts in NBA fandom will continue. Intense fandom isn’t an entirely new phenomenon. Fans have marched with quasi-religious intensity since the rise of Mozart and the early days of classical music in the 1700s. Through video games, basketball fans like me experience the NBA experience first hand. As a kid, I spent hours playing NBA-inspired video games, from Backyard Basketball to NBA 2K, and tasted the mystical dominance of my favorite players. Owners have recognized the opportunity as well; some have even invested in e-sports teams based on NBA 2K. In college, I spent hours playing NBA-inspired video games. Through the game, I studied the players, dissected their go-to moves, and relived iconic NBA moments. The most recent version of 2K (NBA 2K18) goes beyond the arena. Gamers — like the stars of today — have lives beyond the court; they can join the Pro-Am circuit, play street-ball at the local playground, and even shop for clothes in the open neighborhood setting. As athletes grace video game covers, they’re acquiring both influence and negotiating leverage as they dominate routine fan interactions. LeBron James is keenly aware of the weight of his influence. Basketball stars aren’t just athletes — they’re brands. Off the court, LeBron will earn more than $35 million this season, spurred by a lifetime deal with Nike worth a reported $1 billion. Until recently, stars stayed put. They rarely changed teams, even in free agency.¹⁰ That system crumbled under the weight of The Decision. Today’s superstars are free to pursue personal achievement satisfaction. Shortly after The Decision, while playing for the Miami Heat, LeBron signaled his outsized influence during a road trip to Cleveland. Not even Michael Jordan — arguably the greatest athlete of all time — whom Phil Jackson coached for almost a decade, could challenge his team’s travel itinerary. In an age where stars — not teams — are in power, LeBron can do things his own way. Today, the NBA is led by a clever social media usage and a roster of shining stars with worldwide appeal. That, though, wasn’t always the case. In lieu of the NBA’s recent success, it’s easy to forget how intensely the NBA once struggled. As Bill Simmons recounted in The Book of Basketball: The NBA According to The Sports Guy, the NBA was once on life support. In 1978, the league was sick. It was plagued by a lack of excitement, crippling cocaine abuse, and flimsy relationships with the media. Moreover, the league suffered from tape-delayed playoff games, declining attendance and dull stars whom fans couldn’t get excited about. Falling into a desperate tailspin, the NBA needed its stars. But Bill Walton was absent and Julius Erving lacked shine. The NBA was invisible — overshadowed by popular television shows like The Incredible Hulk, The Dukes of Hazard and Dallas. Television networks weren’t helping. League leadership was embarrassed and in trouble. Circumstances began to change in the 1980s when the stars saviors came along: Bird ignited the Celtics, Magic Johnson injected a spirited pulse into a sleepy Lakers franchise, and Chicago’s tailspin ended when Michael Jordan saved them five years later. Then came ESPN and cable television. The networks amplified the already dazzling intensity of the NBA’s stars. Viewers flocked to their living rooms in awe and admiration as the NBA attracted national attention. Today, the NBA is magnetic. Through vibrant expression, athletes march with pizzazz and reveal their multidimensional nature. The NBA’s love affair with fashion is an accident of history. “The [fashion] movement was, in part, spurred by a “business casual” dress code implemented by former NBA commissioner David Stern in 2005, requiring sidelined players to wear a sport coat, dress shoes and socks to games, and for all players to wear business casual attire — or “neat warm-up suits” — while leaving the arena or conducting any sort of NBA-related business. While Commissioner Stern’s push to clean up the NBA’s “thuggish image” initially caused a furor, athletes have turned the culturally insensitive policy into a colossal point of leverage. In retrospect, Stern’s controversial decision sent the league in a new direction: a direction where stars like Russell Westbrook could be expressive and entrepreneurial. No NBA star is more synonymous with fashion than Russell Westbrook. In the off-season, you’re as likely to find Westbrook in a boutique shop in Milan as you are in the gym. In 2012, during the NBA finals against the Miami Heat, Westbrook arrived at a press conference dressed in a flashy Prada shirt and lensless, firetruck red “nerd glasses.” Westbrook’s press conference had a sudden, seismic impact on the NBA. Westbrook grew up with two passions: fashion and basketball. As a kid, growing up in Compton and shopping with his mother, Westbrook dreamed of one day running his own fashion empire. Through fashion, Westbrook expresses himself and stays true to his inner-city roots. Today, Westbrook blends high and low fashion, pairing haute with H&M and basics with Barneys. Along with Barneys, Westbrook’s teamed up with premier designers to launch his own brands — Russell Westbrook XO. Westbrook even brought Jordan Brand (owned by Nike) to Barney’s upscale clientele with personality-infused, Westbrook-designed pieces such as a $500 white flight suit. Until now, we’ve been building up to our central theme: the rise of Naked Brands in basketball. On social media, NBA players can bypass the mainstream media and build intimate, one-to-one relationships with their fans. Fans have always craved a more intimate connection with their favorite athletes. Athletes are mere clicks away at all times. On Instagram, athletes appear next to friends and family, and on Twitter, athletes showcase their humanity through humor, candor, and when we’re lucky… trash talk. On the court, stars transcend the teams they play for. Off the court, athletes are using their influence to launch companies and start their own businesses. NBA stars — like LeBron James — are Naked Brands. Naked Brands are enabled by social media, powered by personality, and built for the digital age. Naked Brands capitalize on broader generational shifts and a transformation in how digital natives relate to their favorite brands and athletes. In the modern age, fans don’t just follow their favorite athletes to watch them play. Fans demand more; from transparent relationships with athletes, to exclusive merchandise, to firm stances on social issues. It’s only a matter of time before athletes start their own YouTube vlogs. In return, fans will support them beyond ticket sales by supporting off-the-court initiatives as well. If history is any indication, Naked Brands are inevitable. McLuhan observed that communications technologies shape the structure of society. We do not merely use technology — it reinvents us. ESPN has 9.7 million followers; LeBron James has 36.7 million. On social media, NBA stars have more reach than the outlets that cover them. On Instagram, LeBron James has 38 million followers, but ESPN has only 10 million. LeBron — not ESPN — sways the narrative, and through social media, he maintains one of the largest media outlets in the world. Whether or not LeBron is remembered as the greatest player of all time, his reach off the court is as valuable as his dominance on it. LeBron’s career won’t end when LeBron retires. LeBron’s career has paralleled the rise of social media. As his play on the court has matured, so has his social media usage. “SpringHill, named for the Akron projects where James lived until his rookie year, is attempting to win a harder game. Consider: Two decades ago, when Jordan was making Space Jam, he leveraged his celebrity to get Warner Bros. to erect an outdoor court for him and his buddies to use between takes. With more than 60 million followers between Twitter and Instagram, LeBron can make a message go viral with just a handful of taps. 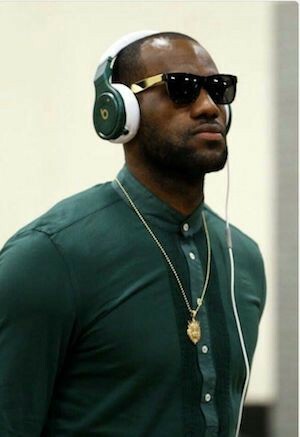 Perhaps there is no better example of a Naked Brand than Beats by Dre — founded by Dr. Dre, personified by LeBron James and acquired by Apple for $3 billion in 2014. Why is that lowercase “b” so cool? James and Dr. Dre met through their shared financial adviser, Paul Watcher. They initially met to discuss a documentary film project. At the time, Dr. Dre was developing the Beats headphones and knew about James’ fervor for music. “Iovine gave a prototype of Beats Studio headphones to James’ manager, Maverick Carter, to pass to James while he trained for the 2008 Olympics. James asked for more, to outfit the entire U.S. Olympic basketball team before it left for Beijing. The hype was immediate. TMZ noted that Dr. Dre “influenced the USA Olympic basketball [team] as much as Dr. J.” Other media coverage followed. So did queries from other athletes, James says. “I started hearing from people who wanted to know: What are they? Where did I get them? What’s that ‘b’? Then they asked how they could get their own. The rest of Beats’ explosion is history. With the bass turned up to 10, Beats by Dre are headphones on steroids. They’re deafening. And the best part is that headphones no longer look like medical equipment. No. Beats are party headphones, and despite their subpar audio quality, Beats dominate the premium headphone market. In less than five years, Beats went from zero to full-blown cultural phenomenon. To wear a pair of Beats is to wear a piece of Dr. Dre and all the stars who’ve covered their ears with the iconic lowercase “b.” It’s as if each note — each beat — has been tweaked and tuned by Dr. Dre’s veteran ears. Today, Beats By Dre is as “Naked” as they come — keeping in close contact with armies of athletes offering customized, new design styles for Beats based on conversations with top athletes from every corner of the globe. Beats aren’t just headphones. They’re fashion accessories — a symbol of cool. Beats’ role as a cultural insignia is a testament to the soaring influence of NBA athletes. “Naked Brands” and basketball are a match made in heaven. Unlike football where players have helmets over their faces, or in baseball where players wear hats, NBA players are fully visible to fans. They wear shorts and tank-top jerseys. The emotions, tattoos, and faces of players are clear and exposed. The intimacy extends to the live fan experience. NBA stars are used to proximity. Fans who sit court-side are just a couple of feet away from the action on and off the court. Moreover, basketball stars are active on both offense and defense and play most of the game. The proximity translates well to social media, where fans flock towards honest, transparent voices and personas. The triumph of Naked Brands and the popularity of LeBron James remind us of the burgeoning allure of transparency and the appeal of animated characters. Social media is where personality glows. In a world of boundless media choice and TV on demand, LeBron cuts right through the clutter. This day in age is all about the individual. The future of sports is about the athletes themselves, not the teams they play for. LeBron is “The King.” He’s a human billboard — a walking advertisement, once worth almost $500 million to the city of Cleveland. In Los Angeles, LeBron won't just be an athlete. Propelled by reach and influence, LeBron will become an entrepreneur, movie star, and real estate mogul. It's not about legacy, it's about business; it's not about basketball, it's about Hollywood; it's not about the Lakers, it's about Los Angeles. On the court, LeBron is at his peak. But off the court, his career is set to explode. The NBA’s Golden Era began with The Decision. The Decision marked a shift from the days of teams to the days of stars. These stars — these Naked Brands — are here to stay. Thank you to Alex Hardy, Zander Nethercutt, Web Barr and Matt Nelson for help with this post. ¹ ESPN gave away the airtime to LeBron. Consider the NFL, where players have to watch their words. In the words of Minnesota Vikings punter Chris Kluwe, who was let go from the team after advocating for marriage inequality, there are two things you don’t talk about in the NFL: politics and religion. ² Ratings rose 19 percent in 2017. So, too, is attendance: more than 22 million fans flooded an NBA arena during the 2017 regular season. NBA League Pass subscriptions climbed 10 percent, and website visits increased by 27 percent. ³ This behavior began on Vine, a short-form video hosting service where users could share six-second long looping video clips. The home of NBA highlights, Vine was a noun, a verb, and, advective and a platform. On Vine, NBA slam dunks spread like wildfire. The NBA became the first sports league to accumulate 1 billion loops on Vine. The 1,020,171,853 Vine loops for the NBA at press time is more than 230 million more loops than the 788,125,035 Vine loops Major League Baseball, the National Football League, and the National Hockey League have accumulated, combined. Vine was owned and later shut down by Twitter. In it’s wake emerged NBA Twitter and popular, basketball-focused Instagram accounts like House of Highlights. ⁵ Compare this statistic with other American sports leagues. Data from Sports Business Journal and Magna Global states the following. ⁷ Even today, under the current NBA TV deal, only 164 of the league’s 1230 games air on national television (ESPN/ABC or TNT). ⁸ The league streams also streams NBA2K games on Twitch. ⁹ Source: Forbes. The top 12 will all earn at least $7.5 million. Besides endorsements, these payments include licensing, memorabilia, appearances, and media deals. Shoe companies drive the bulk of these revenues. ¹¹ During his stint in Miami, LeBron forced Heat General Manager Pat Riley to pay a steep luxury tax to keep him. ¹³ One of the most famous basketball games ever played (with Magic Johnson starting at center in place of an injured Kareem Abdul-Jabbar and carrying the Lakers to the title with an infamous 42-point game), Game 6 of the 1980 NBA Finals was shown well after midnight in nearly every American city. Only four markets carried the game live. ¹⁴ Sure, there have been hiccups. Many of them, actually. But the point still stands. For further reading on the 1970s NBA’s cocaine, I recommend this article: How the NBA Climbed Mountains Through an Era of Outlandish Proportions. ¹⁶ The NBA’s gambling policies are just as progressive, another example of Adam Silver’s brilliance. “In the U.S., the estimates range from $100 billion to $400 billion in illegal sports betting annually. It became clear to me that we would be better off with a regulated framework of sports betting, rather than having it all be illegal and unmonitored. And the intellectual property creators like the NBA, which invest billions of dollars per year creating their product [$7.5 billion in 2018 alone], should share in the proceeds. Legalized sports betting creates an opportunity to be compensated directly by selling our video and data. ¹⁷ The NBA has a history of stars succeeding after they’ve retired: Magic Johnson is a business tycoon, Michael Jordan owns the Charlotte Hornets, and Kobe Bryant is an aspiring director.